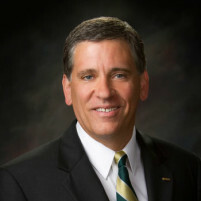 Last week, CSU trustees approved a 3 percent pay increase for campus presidents, as well as for the university system’s chancellor and vice chancellors. As a result of the pay raise, Armstrong’s base salary rose $12,522 from $417,393 to $429,915. Armstrong has the third highest base salary in the CSU system behind Chancellor Timothy White and San Diego State President Adela de la Torre. Following the raise, White’s base salary is $463,855 and de la Torre’s base pay is $441,504. The Cal Poly president’s total compensation is likely greater than half a million dollars a year. In 2016, Armstrong received $113,912 in benefits and $495,430 in total compensation, according to Transparent California. Armstrong’s base salary has increased considerably since then. Excluding benefits, Armstrong received $394,487 in pay in 2017. His 2017 benefits total is not listed in the Transparent California database. This was his reward from the Chancellors for the liberalization of Cal Poly. If he hadn’t gotten the 3% raise Armstrong might have sought other employment. Lets not forget the free house,car and I’m sure a few percs,what I could do with just a one time shot of 430,000. Lets not forget the retirement he will get when he goes away,all of this is on the taxpayers shoulders. Free house, utilities, all in/outdoor maintenance, utilities, RETIREMENT FOR LIFE, healthcare, etc. ON TOP OF THE $430,000. No one in this County is worth this salary and benefits! Talk about taking care of themselves? Only all that “free money” that they like to give away. Until there is a drop in enrollment his pay will continue to go up.